Available beginning on APRIL 10TH, 2019. Long Term at $1900.00 Seasonal rates may vary. 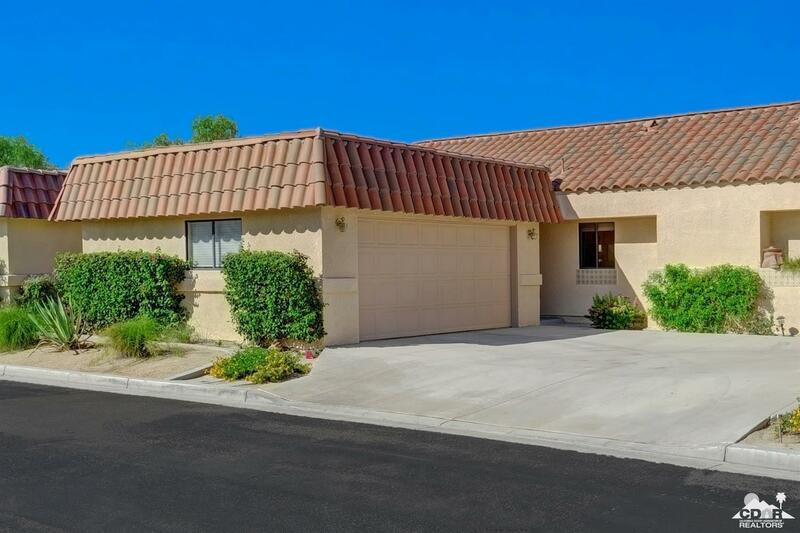 Open floor plan with lovely updated decor throughout, stainless appliances and breakfast bar in kitchen. 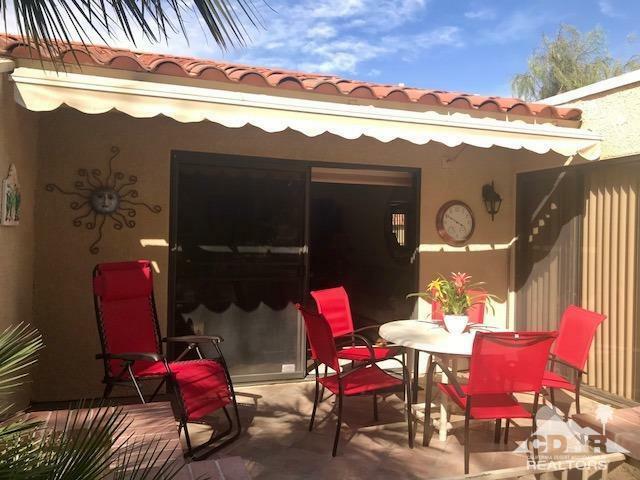 Light and bright unit with nice vaulted ceilings, master bedroom has sliding doors leading to the patio. Rear patio faces Southwest for all that great sunshine. 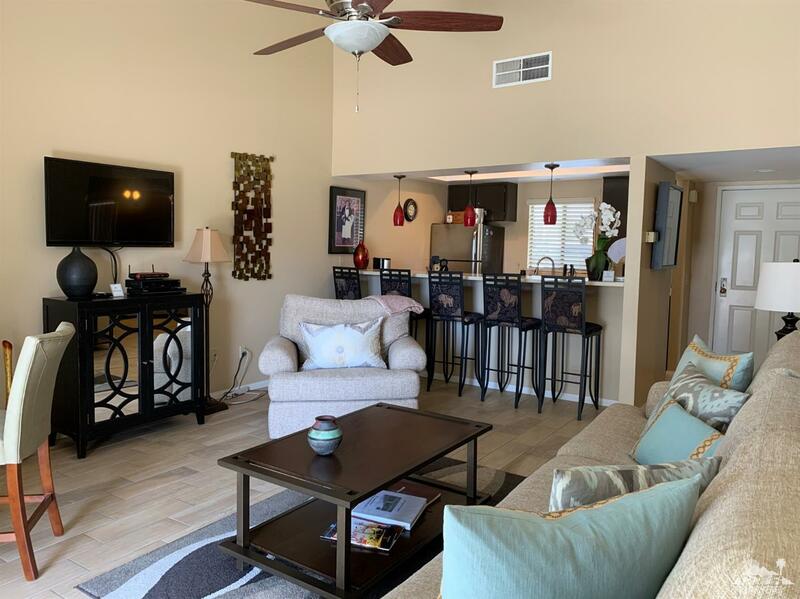 Condo is fully turnkey furnished with everything you need. All the comforts of home including laundry. 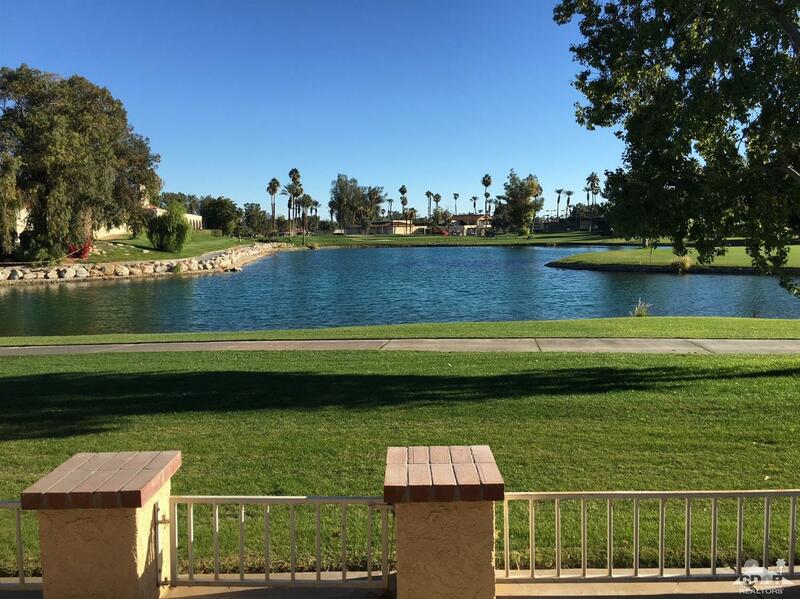 The Resort has 14 lighted tennis courts, championship golf course, 20 community pools/spas, clubhouse with dining, lounge and pro shop, and has a 24 hour guarded gate. 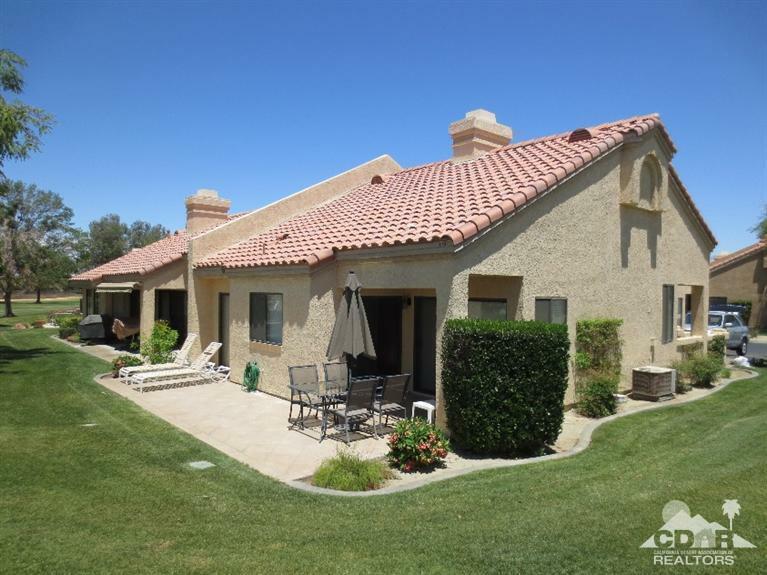 Great location to access I-10 and minutes from El Paseo shopping and restaurants. 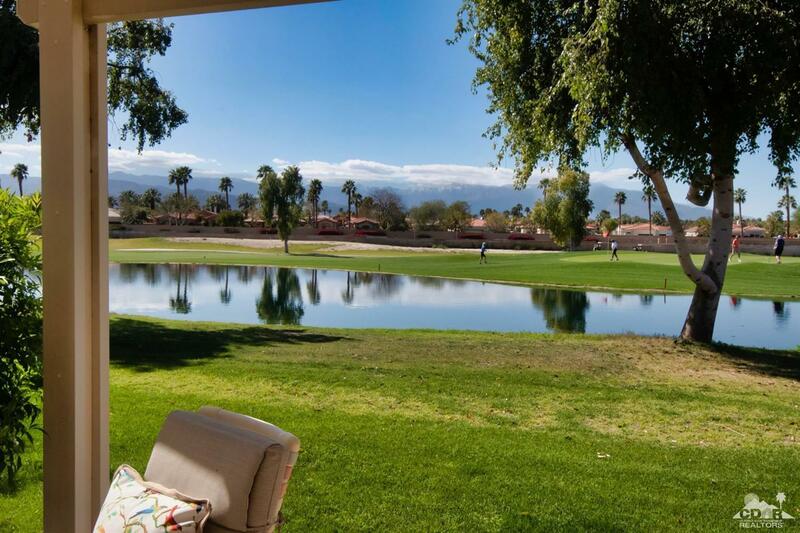 Close to Indian Wells Tennis Gardens for the BNP Paribas Tennis Tournament and the shuttle parking for Coachella and Stagecoach Festivals. Rates vary by season, month or week. If seasonal, prefer 3 month minimum for Jan. thru March 2020 at $3,500.00 per mth.